It’s been called “The Pearl of Africa” for its intense landscapes, abundant wildlife and warm, welcoming people. Perhaps most importantly, Uganda is a premier locale for trekking and viewing the elusive mountain gorilla. You’ll learn about the lives of the gorillas – their habitat, diet, how they function as a family unit and relate to each other. On your trek you will get to view the gorillas uninterrupted to really see and appreciate their place in the natural order. 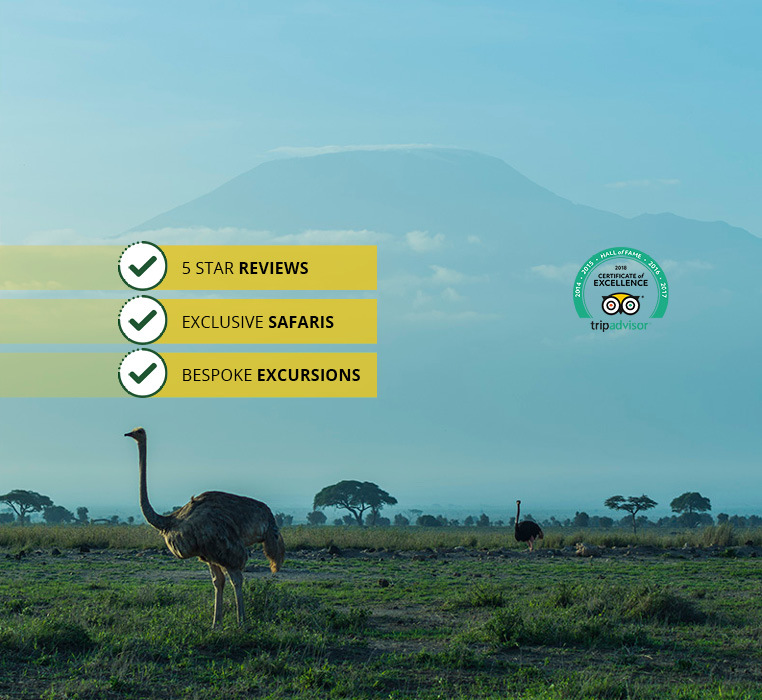 Depending on the tour you choose, additional activities include tracking chimpanzees and other primates, going on the lookout for the Big Five, a water safari, experiencing a mighty waterfall and more. Will You Explore The Impenetrable Forest or Queen Elizabeth National Park? Journey to Bwindi Impenetrable Forest, a UNESCO World Heritage Site, home to half the mountain gorillas in Africa. You can also choose an adventure at Queen Elizabeth National Park where you’ll discover unusual tree climbing lions. At Lake Mburu Park, a walking safari past birds and smaller game guarantees an idyllic day. Kibale National Park will take you into the heart of chimpanzee and other primate territory. For a different kind of exploration, sign on for a water safari up the Kazinga Channel. Here you’ll see one of the largest populations of hippos in the world, along with many Nile crocodiles. And for pure spectacle, few natural sites are more impressive than Murchison Falls. At its peak the broad Nile is forced into a width of only 7 meters where it begins its spectacular and deafening – 43 meter freefall. But whichever safari you choose, rest assured it will feature the rare excitement of a personalized gorilla trek in one of Africa’s most specialized habitats, the mountains of Uganda. And just as important to know, Uganda is a safe and secure environment, celebrated for its welcoming embrace of visitors. So, choose your trek or contact us and we’ll be happy to help create your very special holiday!